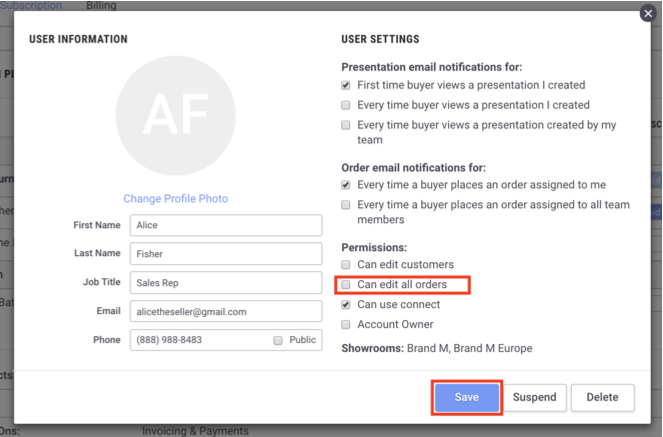 If the user belongs to the Showroom owner's team, they just need to have the "Can Edit All Orders" permission checked under Account User Settings. If the user doesn't belong to the Showroom owner's team, they will either need to be moved into the team or request special access. Please contact Support to assist with this.